Are you getting enough sleep? Most people are confused about how much or how little sleep they really need. After a day of stimulating activity your body is ready for and needs deep sleep. Aim for six to eight hours of sleep without the need for medication. Herbal, Nutritional and Supplement recommendations provided. Calm your nervous system with deliberate breathing and mindful meditation. Tap into the amazing power of sleep! For Questions and Inquiries, please click here and fill out the form. Please add me to your email list to receive information on upcoming classes and events. Bring your practice to a new level in this unique Instructor level Master class, delivered in an encouraging, private group setting. This Advanced Equipment class is ideal for Pilates Instructors, Pilates Teachers in training and truly Advanced Pilates students. Take time for yourself and your personal practice. Please call the studio to reserve a spot. 520- 299-6541. The Foam Roller is an amazing and easy tool for stretching, strengthening, alignment, and balance. It is also a great tool to improve posture and relieve back pain. These classes start with standing warm-ups, alignment & posture exercises followed by twenty five minutes of abdominal work. Improve your digestion and overall health by learning the 3 Pillars of Holistic Nutrition: Digestion, Food, and Mindfulness. In this interactive class, you'll more about what to order when eating out, how to make better choices while grocery shopping and gain clarity about sugar, sweeteners, fat, and oils. The class includes a 1-hour Nutrition lecture, superfood snacks, and teas to enjoy during the presentation and take home handouts. 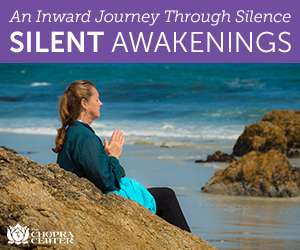 This class also includes a mindful movement segment and short guided meditation. Call: 520-299-6541 or email change@bodyfundamentals.com to register. Learn how meditation changes the Brain! In this 90-minute course, you'll gain insight on how meditation improves brain health, actually restructures the brain, and what it does for memory and continued learning as we age. The Ayurvedic Lifestyle program teaches you to bring balance and healing into your life. As your Perfect Health Instructor and Ayurvedic consultant, I'll guide you through a powerful regimen of practices designed to balance the body/ mind, enhance nutrition, reduce emotional turbulence, and re-awaken the senses. daily meditation and yoga, heart-healthy lunches Saturday and Sunday, Ayurvedic nutrition course, and quiet time for reflection. Mention my name, Geneviève Nedder, when you register for all Chopra Center events and programs for the best possible rates and up to 20% off most programs and retreats. Contact my program consultant Gabrielle Forleo at 760-494-1696 or by email for information.